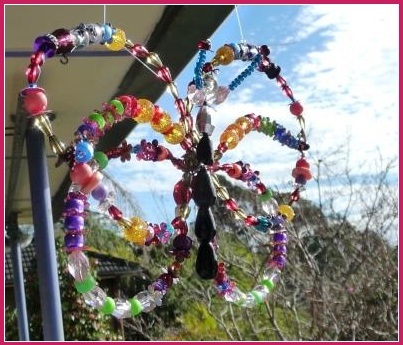 A beautiful butterfly light-catcher, made by son Stacey and granddaughter Jessie whilst I was in Sydney, Australia recently. 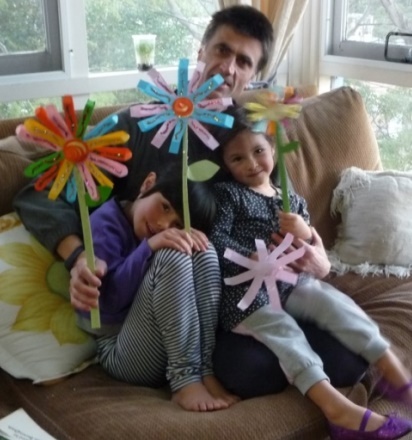 Even when doing an indoor craft, we somehow usually have a nature theme. Here's another one...just made paper flowers. Click my facebook page to see a cute photo of a naughty possum eating the last tomato in my family's garden in Sydney, where I've been staying for the last month. If you like it, don't be a possum and scamper away… take a second to share and click the like icon! On reading about 10 ways to live sustainably, one was: Grow something. Jolly good, but then I read: Even failing at growing is a win because you increase your appreciation of the effort and resources it takes to grow food successfully. Hmm, good point, however this could have you scuttling back inside to eat junk food and let the weeds take over as you contemplate hard-working efforts to garden by others. I believe it should be: Failing to grow something should increase your effort to find out what you need to do to grow something successfully next time. 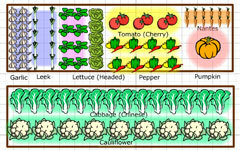 Start at Build your Garden and you should be able to grow something. Reading a comment on farmers losing the battle over weeds, it seems they are lax in some easy-to-fix ways. The most obvious was when mowing fence lines and roadside areas. If that machinery was not cleaned and then later trundled into a paddock, this often dispersed unwanted grass and other weed seeds. Same with home gardeners; after use, clean and check your clippers, secateurs, trimmers etc... even your boots and between your toes. Just kidding, but you never know what you might find! Looking at a row of seedlings in eggshells at a local school, I had to smile. Fun for kids but in reality it's best NOT to plant seeds in anything but a decent sized pot OR the ground. Early root development is essential for vigorous plants and especially for the likes of tomatoes which results in more fruit for a longer period. The larger the root system in your potted seedlings, the better they will grow when transplanted. Simple as that, so don't cramp their style. Thanks to Dr. Ben Kim's Healthy Dressings. This is one of those recipes that I thought I'd give a try, and by golly I'm glad I did! Miso and ginger are the star ingredients of this dressing. Drizzle over your favourite salad ingredients. We often use this dressing with organic baby greens, carrot shreds, cucumber slices, tomato, red onion, and avocado.